You can repay your loan amount to any HFC (Housing finance company) or NBFC (Non-banking finance company) in cash provided each loan instalment is less than Rs 2 lakh. The government in the last budget introduced Section 269ST, whereby it prohibited the cash transactions exceeding Rs 2 lakhs with a view to promote digital economy. (iii) In respect of transactions relating to one event or occasion from a person . Subsequently after introducing this section, various representations were sent by non-banking financial companies (NBFCs) and housing finance companies (HFCs) as to whether the limit of Rs 2 lakh shall apply to one instalment of loan repayment or for the whole amount of such repayment. In this context, the income tax department clarified that if you are repaying the loan to NBFCs or HFCs, then the one instalment of loan repayment shall constitute a single transaction. And so if the single loan instalment amount is less than Rs 2 lakhs, it can be paid in cash. 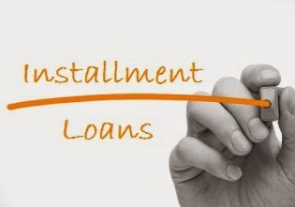 All the instalments paid for a loan shall not be aggregated for the purposes of determining applicability of Rs 2 lakh limit.